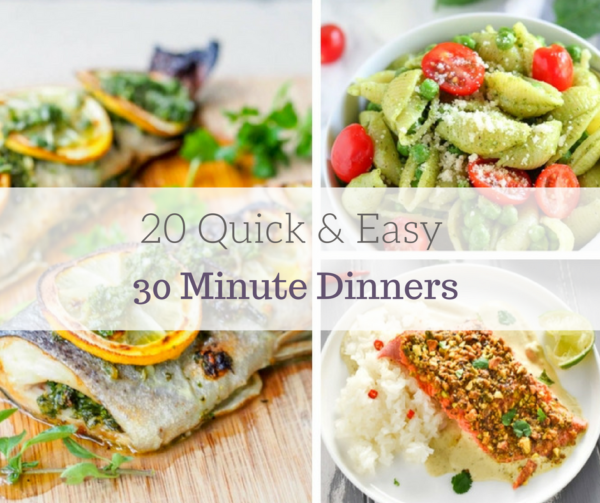 I love quick and easy dinners to throw into my menu plan. They make life so much easier to manage, especially when we have an already busy schedule. 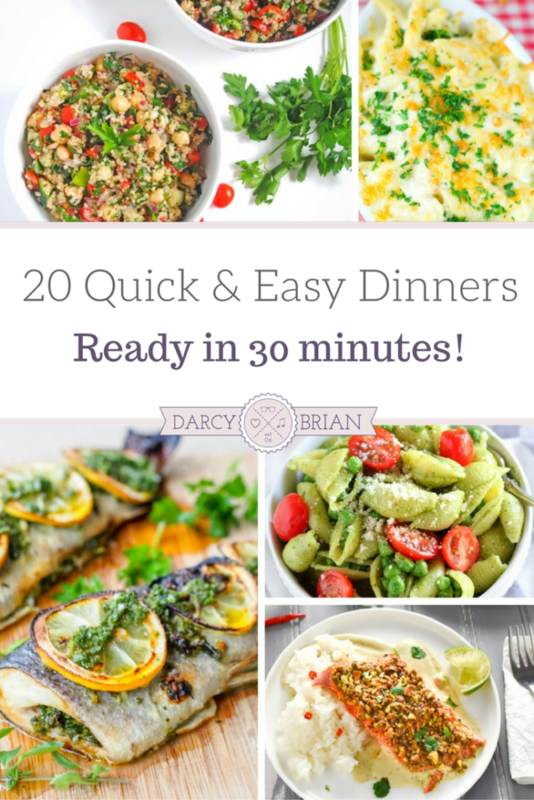 This list of quick and easy dinners can all be prepared in just 30-minutes or less! That's perfect for our busy lifestyle and will be for yours too! Making quick and easy dinners doesn't mean you have to stick with just pre-packaged or frozen meals. In fact, there are tons of healthy and even gourmet meals you can make in a short time. This list includes some of my favorites like pasta, stir fry, and of course, some healthy dishes were thrown into the list. That makes it easier for me to give my family a warm meal without spending hours in the kitchen. I recommend getting yourself a great dry erase calendar or a traditional menu planner to help keep on top of meal planning each week. This will make it easy to stay in your budget with no problems, as well as simple to feed your family without having that last minute, “what am I going to cook” issue come up. Making quick and easy dinners that satisfy your family doesn't have to be overwhelming anymore. 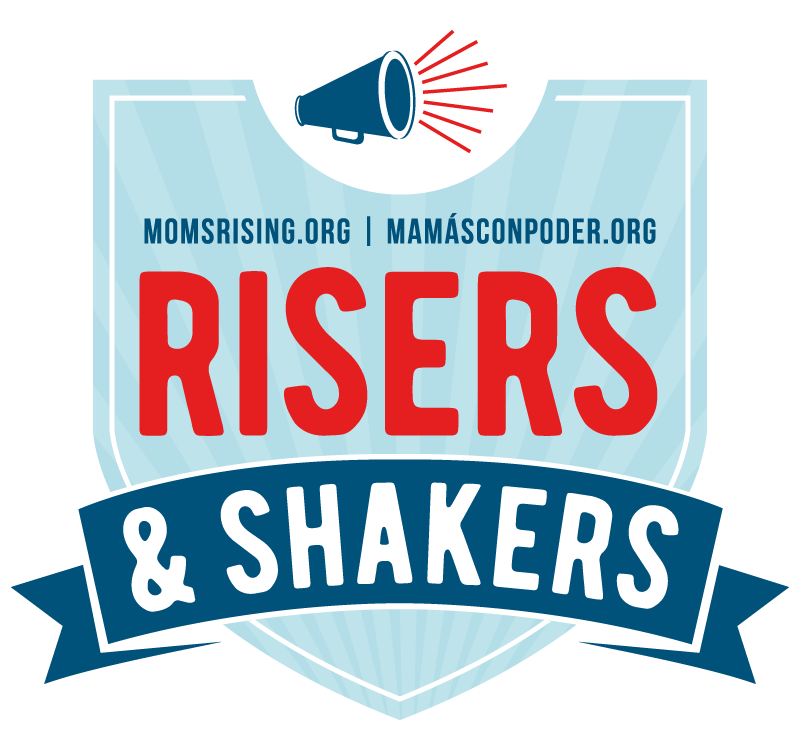 Use these great recipes, or some of our own listed below, to create meals your entire family will love. Your family will thank you for not falling into the trap of frozen pizza anymore, and your budget, as well as your waistline, will rejoice.